Alpine après at Deer Valley's Stein Eriksen Lodge was one of the highlights of my Utah adventure this March. How on earth to choose between traditional, white cheddar with stout, or milk chocolate fondue to go with my champagne? I wanted all three! Starved of the actual Alps, I opted for the very authentic emmental and gruyère guzzle but was sorely tempted to say 'leave it here' when the waiter afterwards delivered the chocolate version by mistake. I'd been staying in Salt Lake City, attending the Qualtrics X4 Summit with research partner, co-writer (and hubby) Dr Simon Hudson, and needed to slip in some sensational skiing to counterbalance all those mind-blowing, thought-provoking Ted-Talk presentations. 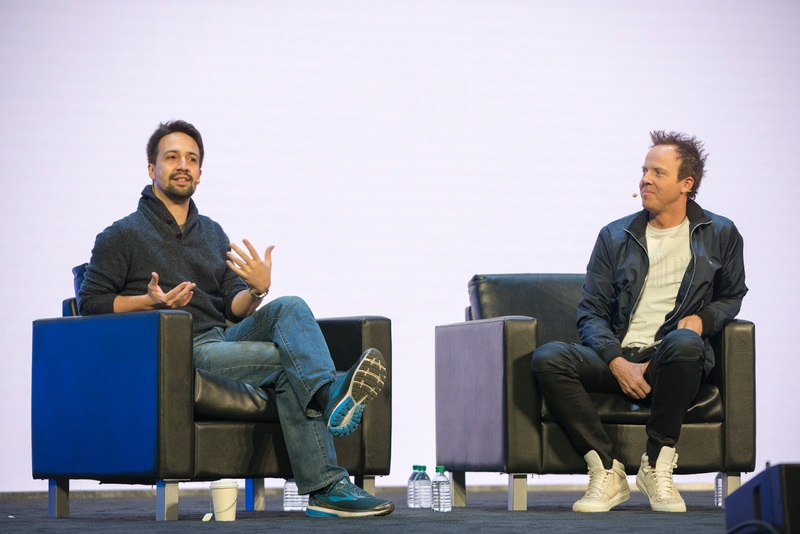 Think Lin-Manuel Miranda, Magic Johnson, Ariana Huffington, and Dr Peter Lovatt. 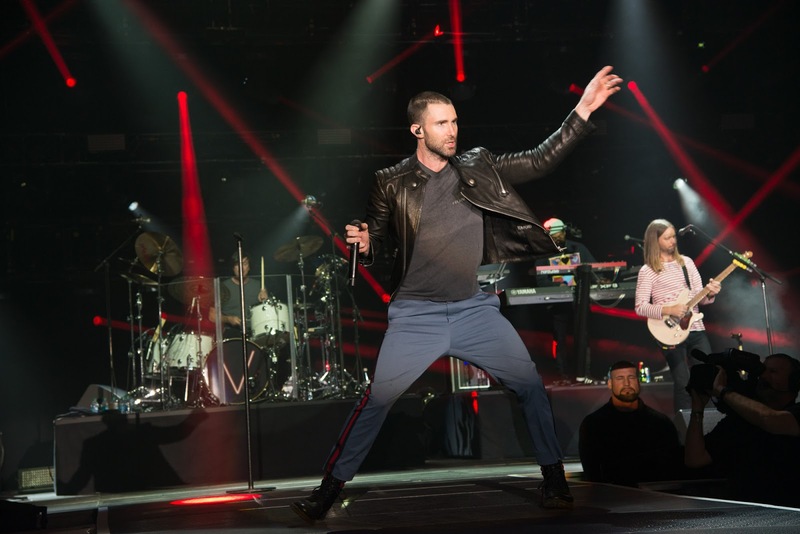 It was a star-studded lineup all week, with Maroon 5 entertaining all 7,000 of us conference delegates (plus hangers-on), preceded by a Tony Hawk and team pro skateboarding spectacular which was set amid a fairground atmosphere created by bringing 20 food trucks into the Salt Palace Convention Centre (Qualtrics always know how to do wow). Adam Levine, whose voice live sounded even better than his recordings, was remarkably humble, saying his evening was made when he got a photo with Tony! By the way, I do hope Tony makes the Olympics - despite his age, I thought he surpassed his younger co-stars in both skill and athleticism! 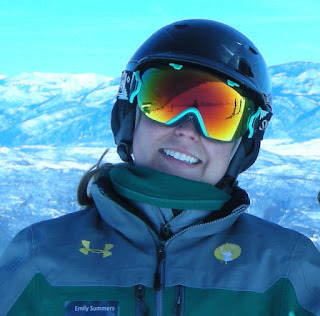 Before the decadent après, I'd had a great ski day zooming around Deer Valley's sensationally smooth slopes with Emily Summers who knew exactly how to follow the sun in order to maximize the softening spring conditions. Never underestimate local knowledge! The bluebird day was brightened up even more by bumping into Karen Ordel, sporting a lovely lime floral Obermeyer ski suit. It's the Aura Jacket paired with a matching Malta pant - which you can still buy in a variety of prints. Definitely one for my proposed piece on bright and beautiful ski suits next season. Looking delightfully dazzling in her finery, Karen told me Deer Valley had been her fave piste playground for the past 30 years. Another takeaway from this trip was Dalbello boots, recommended by Emily. Second time they've come up this season, the first being Dr Kim Hewson's tip in Telluride - you remember him, the orthopaedic surgeon-turned-ski instructor. Apparently, they are eminently suitable for skiers with finicky feet and mine incorporate all the elements of a podiatrist's nightmare. My customized Nordica Dobermanns are just about functional after a downhill decade, but I have that advance dread of having to start from scratch with a new pair in the near future. Emily's Dalbellos were customized with a footbed and heat moulding at nearby Christy Sports and she loved them from her first foray: "They were absolutely perfect right away, with no need for follow-ups at the shop. I've had no pain at all and I can't believe it took me so long to replace my old ones." Our visit to Stein Eriksen Lodge later that day was actually a first. 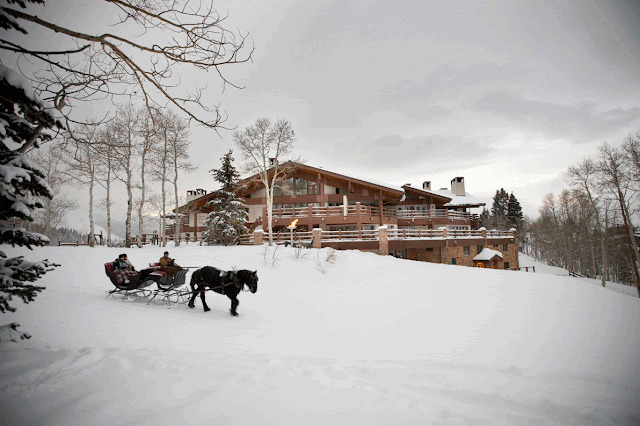 Heard so much about it but never experienced its Alpine elegance and five-star flair. We met Guy Morris, SEL's vibrant VP for Sales & Marketing for a chat about the challenges of running a 'hotel on snow' for an article Simon was writing for HotelExecutive.com. 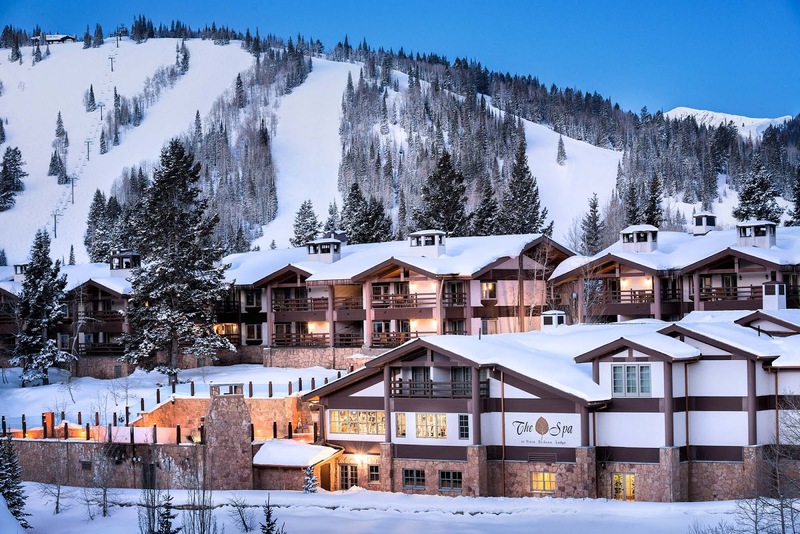 Foremost among these was staffing - the hotel has to find, and train, 100 extra employees every winter with all the language, visa, and cultural concerns of recruiting from multiple nations. And, then, when they are all trained up to SEL's exacting Five-Star Forbes award-winning service standards, the hotel also has to house them and keep them happy in order to encourage them to come back the following season, rather than starting all over again with another batch of newbies. He told us about a new phrase coined this year by guests for the après hour: “It must be Stein-thirty” - meaning, it must be time for Stein’s lively après. 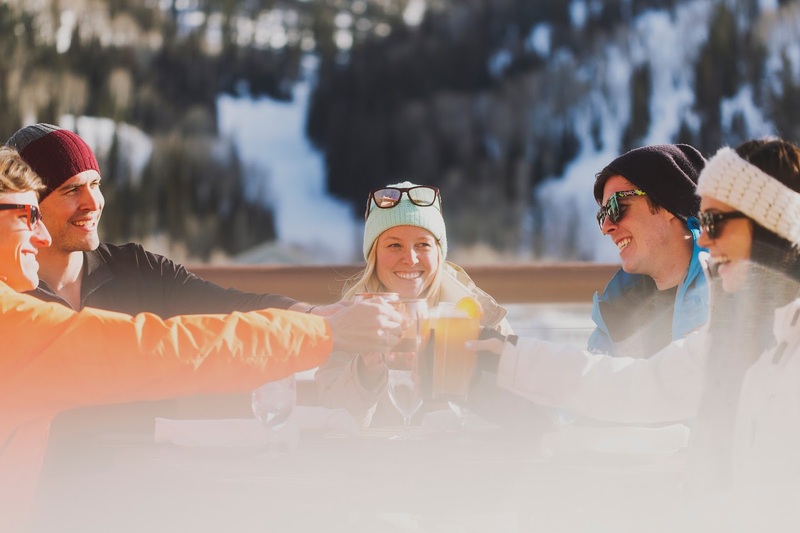 "It is more or less of a tribute to the overall ambiance of the après-ski tradition that the staff at Stein’s creates for the guests," Guy explains. 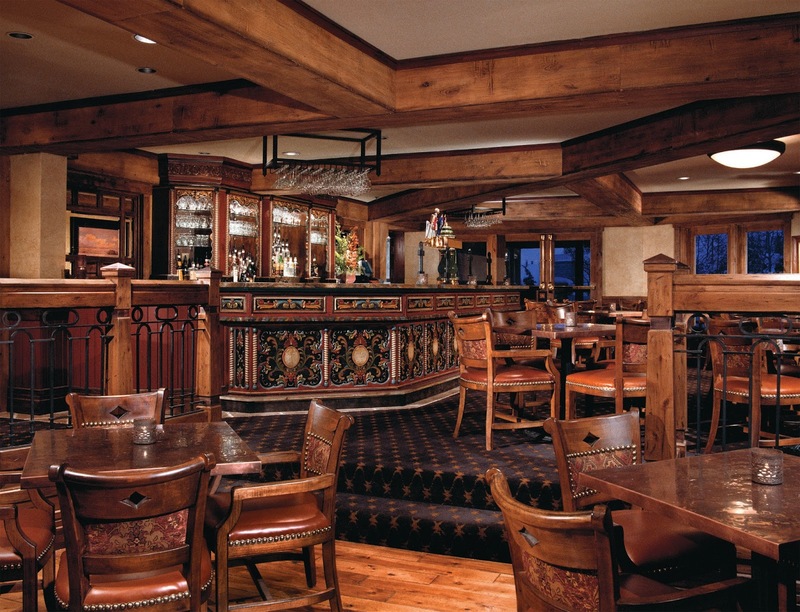 "We provide live music seven days a week throughout the ski season." His pick for the peckish: Swedish Meatballs and Mashers: "This recipe comes from Chef Zane’s grandmother. After one bite, it will be difficult to share with anyone in your party." Up until 2009 Stein Eriksen was "the grande dame of luxury" at Deer Valley, Guy told us, but within 18 months the Waldorf Astoria Park City, the St Regis and the Montage Deer Valley were added to the extravagant equation: "It is great competition, but they are all brand new so we have had to completely renovate our rooms and we’re just finishing another 14 million dollar renovation at the moment." SEL's latest wow factor is a unique 60-person theatre which will be accompanied by a Champions Club this May - a gaming and entertainment centre - and by a second swimming pool in July. Another signature aspect of SEL is that no two guest rooms are the same. With 72 percent repeat guests, this creates competition to book earlier each year in order to secure your choice. The next project will be the entertainment area of the lodge, with the décor dilemma of keeping the assuring authenticity while upgrading. The SEL Ski Valet is one thing that won't need any improvements. There's a substantial skiers' buffet breakfast, then guests are walked to their lockers, where their warmed-overnight boots are put on for them and then guided to their skis perched on the snow, and helped to snap into the bindings. "If someone has new boots or is a beginner and has very sore feet, we bubble wrap them! We help soothe the sore spots, help them dress for the slopes and literally put them on the snow. Fetch, carry and pamper – it's almost disgusting," quipped Guy, who would like to extend this five-star experience to mountain biking. 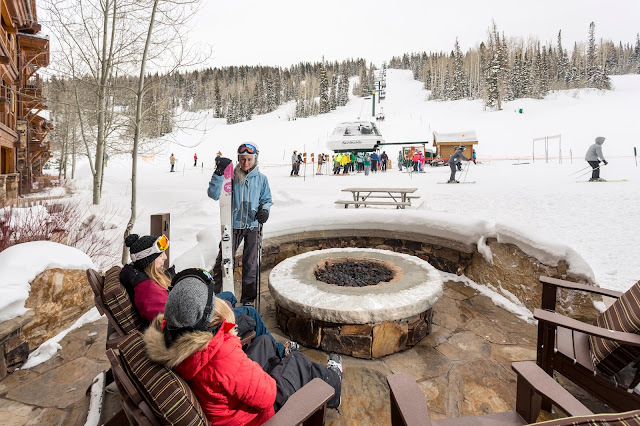 One of the best comments ever from a guest came two years ago with this ditty: “There are plenty of places to ski and stay, but for a truly unique experience, you can’t beat the Stein way”. This guest was in love with SEL valet services, loving the lavish luxury and carefree start to the day. 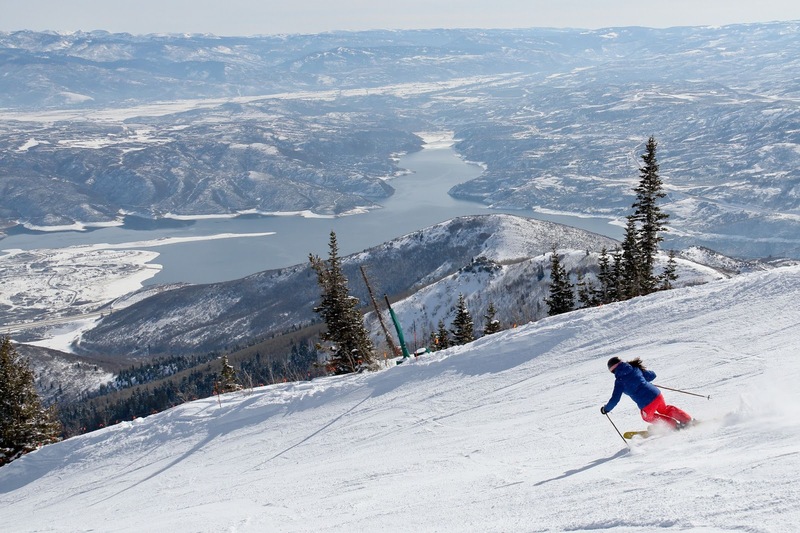 Guy's favourite run at Deer Valley is, of course, Stein's Way: "It is such a signature run. Named after legendary Olympic skier Stein Eriksen, it is long and steep and designed for Stein’s classy, giant-slalom-style turns. 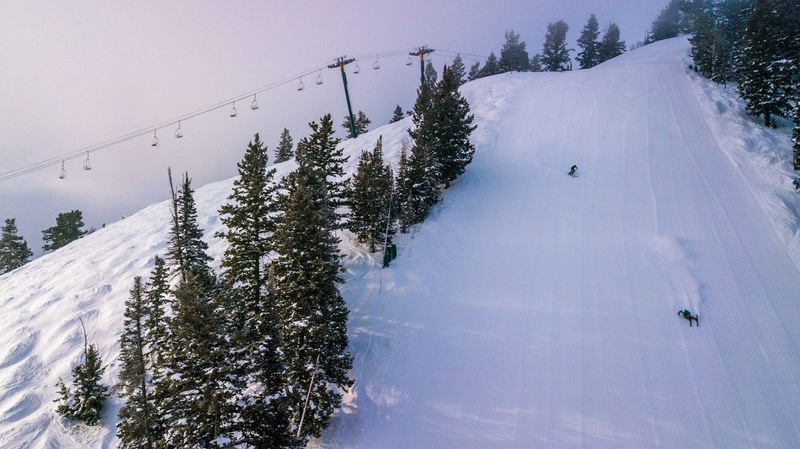 It begins at the top of the Sultan Lift and winds down through some of the resort's most scenic areas. It alternates between steep pitches, rolling inclines and gentle platforms perfect for wide, sweeping turns." The trail, which drops 1,300 vertical feet and is 4,500 feet long, is mostly intermediate, except for one pitch with a 70-degree slope, which is a double black diamond. 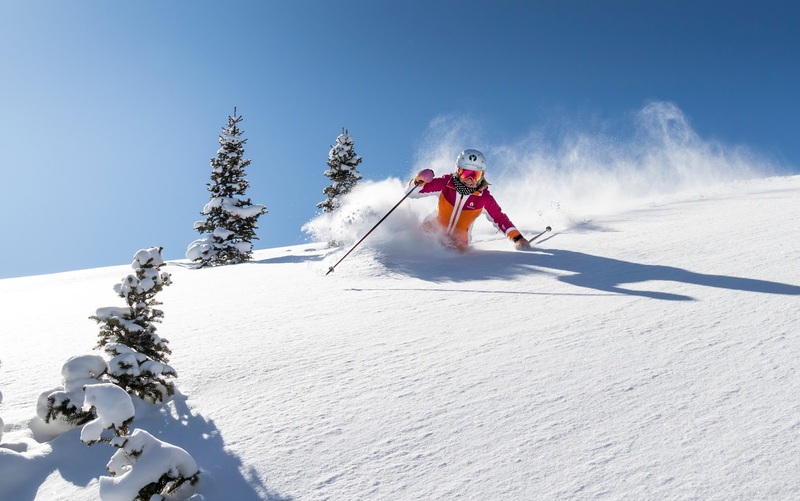 "Intermediate skiers can bypass the steep, ski around and ski back on the run where it returns to intermediate terrain," Guy says. But he also likes Nabob, another fun blue, always groomed, with a wide variety of terrain and good grade. 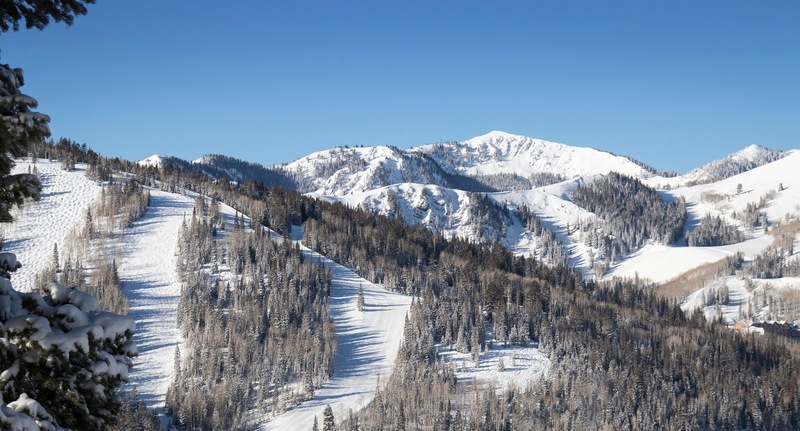 "It faces north, which preserves the best snow on the mountain, and offers some special vistas of Park City," Guy points out. And, for off-trail skiing, he recommends The Daly Chutes in Empire Canyon. One signature thing Guy mentioned about the area was the program at the local schools in ski textiles: "Park City schools offer Sports Sewing Classes as part of the curriculum which involves making their own ski pants and jackets. My son is thinking of getting his masters in textiles because of doing that class. He has been making ski gear for himself and the family ever since." Locals and visitors celebrate the end of the season with the Gapers Festival – a fun retro event named after the gap between the helmet and goggles. 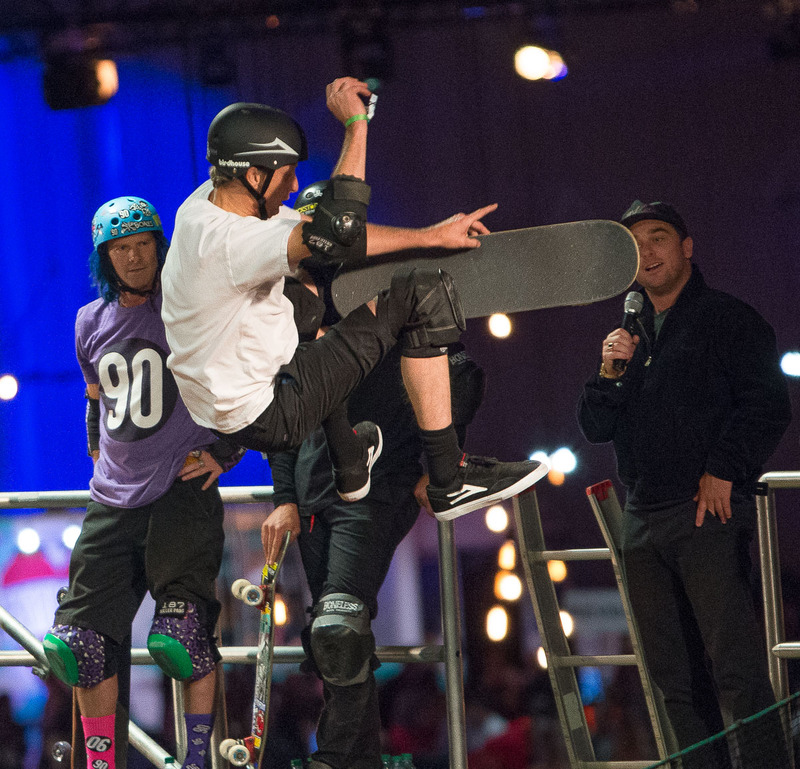 "Everyone wears crazy outfits and does crazy stunts," said Guy. "Even me - I still jump!" 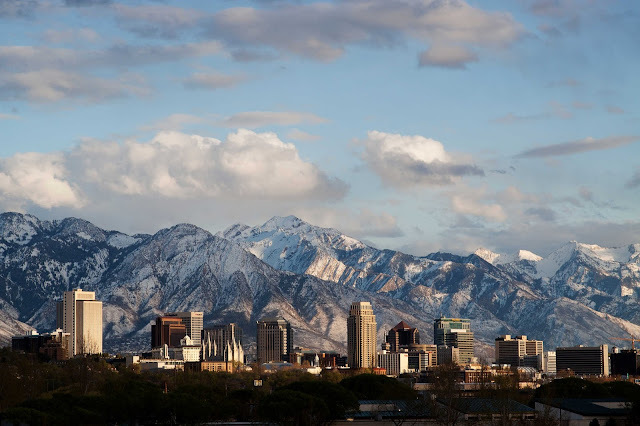 Having discovered Utah only five winters ago, Simon and I try to include it every season in our ski schedule. The area around SLC is actually one of our top three picks in North America for a potential ski-resort based retirement due to its unbeatable accessibility, snow record, affordability, transit system, gorgeous scenery, and closely-linked resort variety - think Deer Valley, Park City, Alta, Solitude, Brighton, Snowbird, Sundance, Snowbasin and Powder Mountain. A collection of rare, rugged, ritzy and radical resorts that should feature high on everyone's bucket list! My husband, Dr Simon Hudson, and I are currently researching for a Worldwide Guide to Retirement Destinations, mainly because there is a huge lack in the market for a one-stop shop on this subject and also partly for our own interest! If you have any recommendations for places or people who have nabbed the perfect spot for an active retirement (summer, winter or year round), send me an email at: louise.hudson2011@gmail.com.